Laying floor tiles is a job for a professional tiler or a very competent DIY enthusiast because it usually requires special tools and a certain amount of skill to get it looking perfect. Laying a square or rectangular shaped tile may seem relatively easy but the difficulties arise when tiles have to be cut (as they always do) and shaped around obstacles in the room. Cutting hard tiles such as porcelain floor tiles or some types of natural stone is a job that only professional equipment can do properly. It is possible to hire the right equipment but that can be expensive and there is still a risk of ruining expensive porcelain tiles or designer tiles with a bad cut. If you are confident enough to install your floor tiles yourself, or whether you have employed a professional tiler, the most important thing to do first is prepare the surface onto which the tiles will be laid. If the existing floor is concrete then the job will be quite straightforward – the mortar can be applied directly to the floor and the tiles laid on top. 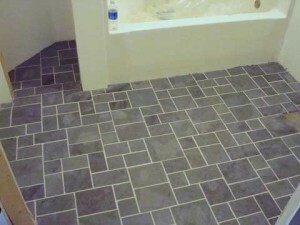 If the existing floor is wooden then the solution is less simple – cement backer units (CBU) used with a moisture-proof membrane are a good choice for a wall tile substrate in wet areas and are often also used in order to strengthen a floor and provide a moisture barrier between the tiling and underlying wood. But cement backer units will not entirely prevent bending of a wooden floor under the weight of very heavy floor tiles. For very heavy tiles being installed over a wooden floor a plywood substrate will be needed. 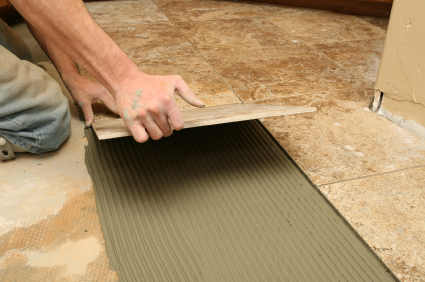 Once the substrate is prepared the area must be measured and the layout for your tile size planned and marked out. A cement based adhesive (thinset mortar) is then applied in sections to the substrate with a trowel and each floor tile laid on top using the marked guidelines and plastic tile spacers to maintain even gaps between the tiles for the grout. The advantage of a thinset mortar is that it doesn’t dry too quickly so you can shift the tiles slightly to get the perfect layout. As each section of floor tiles is laid the level should be checked with a large spirit level because floors are rarely entirely flat. Extra mortar can be used to even out areas where there is a slight difference in level. For hard tiles such as porcelain tiles a wet saw with a diamond blade is used to cut them around fixed obstacles such as sanitary ware, pipes and doorways. 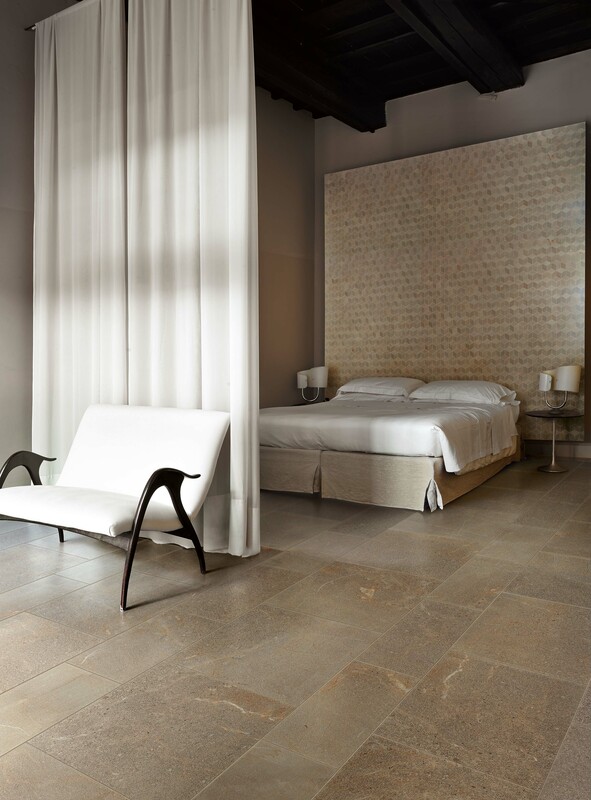 Choosing the right type of grout for natural stone, ceramic tiles or porcelain floor tiles will give a professional finish but will also reduce the amount of maintenance required, and if it is properly sealed it will last for as long as the tiles themselves. Avoid walking on the floor until the grout has completely dried – this can take up to 2 days depending on the thickness of your tiles and on the width of the grout joints.